WINNIE Madikizela-Mandela has filed a sensational claim against her former husband’s will, submitting that her divorce from the famous statesman was fraudulently obtained. Other revelations contained in court documents suggest she was not even in the country when her divorce from former president Nelson Mandela was finalised – and that no settlement was reached. Madikizela-Mandela has spilt the beans in a bid to wrest control of the Qunu property so beloved by Mandela, and which he placed under the aegis of a trust upon his death last year. She initially pleaded her case in a letter to the trustees – who include lawyer George Bizos and Deputy Chief Justice Dikgang Moseneke – earlier this year, but stepped up her challenge when her overtures were rejected. Madikizela-Mandela’s lawyer Mvuzo Notyesi filed papers in the Mthatha High Court yesterday. In laying out her case, Madikizela-Mandela has gone right back to their betrothal. The Daily Dispatch has seen a copy of the marriage certificate which, according to the document, was issued in terms of Act 21 of 1978 (of the Republic of Transkei). 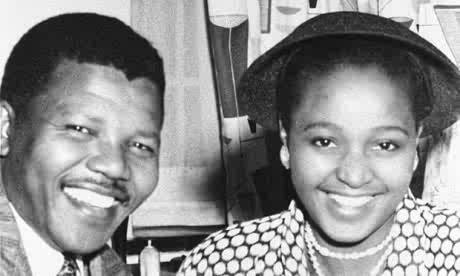 The Mandelas were married in June 1958. Madikizela-Mandela submitted in her affidavit. Further, the Republic of Transkei did not exist in 1958 as independence was only granted in 1976. Madikizela-Mandela also claims that the signatures on the certificate belong to neither her nor her ex-husband. “Our marriage officer was reverend Gamndana and not GGK Madikiza,” as recorded on the certificate. The certificate reads that the two were married in Embongweni Administrative Area in Bizana and that community of property is excluded. Madikizela-Mandela will also seek to rescind the divorce order. A divorce decree seen by the Daily Dispatch reveals the marriage between the two was dissolved and that (Madikizela-Mandela) should pay the cost of that part of the trial, including the costs of the two legal counsels. In her court papers, Madikizela-Mandela says the court never ordered the forfeiture of the Qunu property as they never engaged in any settlement negotiations on their properties. She wrote that she was not even present at court when the divorce order was granted as she was in Beijing attending a conference. Madikizela-Mandela also made a shocking claim that the first time she saw the divorce order was in August this year. Madikizela-Mandela wants the court to declare the clause in which Mandela bequeaths the Qunu property to the Nelson Rholihlahla Mandela Family Trust to be set aside. In the papers Madikizela-Mandela’s lawyers claim that Mandela misconstrued his powers and improperly donated the Qunu property to himself. She claims the property as her own on the basis she allegedly acquired it in 1989 while Mandela was still in jail. Mandela had registered the property in his name in 1998, two years after he divorced Madikizela-Mandela. At the time Mandela was still state president. The papers say that the Minister of Land Affairs used the provisions of Section 6 of the State Land Disposal Act of 1961, (Act No.48 of 1961) to register the land in Mandela’s name. The act states that the president may sell, exchange, donate or lease state land on behalf of the state. She wants the deed of grant to be reviewed and set aside as a nullity. Mandela’s ex-wife Graça Machel and President Jacob Zuma are among seven respondents in the application. Posted on 15th October 2014 by newsafrica. This entry was posted in Africa, Anti-Apartheid, Mandela. Bookmark the permalink.